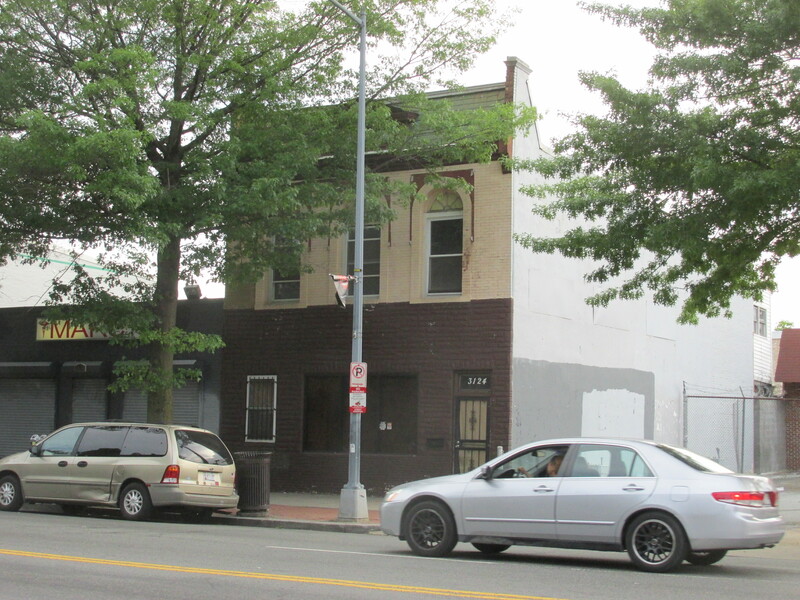 Hush Lounge Denied Liquor License | Park View, D.C.
3124 Georgia Avenue, NW, where Hush Lounge is hoping to locate. On Friday, May 29, I learned that Hush Lounge’s Liquor License application had been denied by the Alcoholic Beverage Control Board. We first learned of Hush’s intentions to move into 3124 Georgia Avenue back in November 2014. During that time, I introduced a protest that was unanimously supported by Advisory Neighborhood Commission 1A as the business sounded like a club more so than a tavern as it listed an entertainment endorsement, cover charge, and dancing. This seemed like a prudent course of action that would also allow Rashida Brown, the Commissioner-elect for Single Member District 1A10 to take office and work with her community to address concerns. As it turns out, the precaution turned out to be well worthwhile as there were several serious problems with the application, and another local business associated with the applicant had known problems including operating with an expired license and disorderly patrons. However, in reading the full Board Order denying Hush’s applicaiton, the problems go deeper than this. The Alcoholic Beverage Control Board (Board) hereby denies the Application for a New Retailer’s Class CT License filed by Anyado Hospitality Group, LLC, tla Hush Restaurant & Lounge, (hereinafter “Applicant” or “Hush”) for the following reasons: First, Mr. Nwaeze is unfit for licensure under District of Columbia (D.C.) Official Code § 25-301, because, as the owner of Taste, he illegally transferred the license to a new owner in violation of §§ 25-301(a)(5) and 25-405, and filed a false renewal application in violation of § 25-401(c). Second, the Board finds the Application inappropriate under D.C. Official Code § 25-313, because Mr. Nwaeze’s actions as the owner of Taste demonstrate that he cannot properly superintend a licensed establishment. Therefore, the Application is denied. While the liquor license was denied, the Anyado Group is still under a lease agreement at 3124 Georgia Avenue. It is too early to know what, if anything, that may mean. None-the-less, the 11 hour protest hearing that resulted in the Board Order was epic, with Commissioner Rashida Brown representing the community and ANC 1A. She did a stellar job on this protest and is to be commended for her hard work and dedication. This entry was posted on June 1, 2015 at 7:01 am and is filed under ABRA, Bars. You can subscribe via RSS 2.0 feed to this post's comments. I wish I’d attended that epic protest hearing. Sounds like one for the ages. Thank you and Rashida for your hard work on this one! Good work Commisioner! It’s true Georgia Ave is in serious need for development and some better, quality businesses to come in. The last thing we need is more night clubs. Thank You. Do you mean “11th hour” or did the hearing actually last 11 hours?? ?